It is used for pack plastic blister with card board, aluminum sheet or plastic sheet. 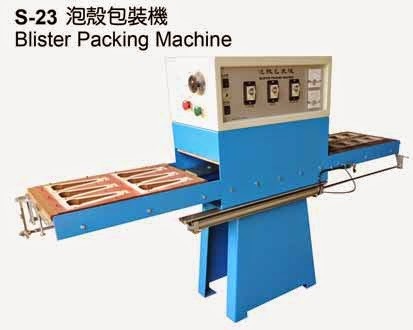 These machine have two kinds of packing way, one is direct heating type, another is instant heating type. We had to put the plastic blister, goods for packing and card board on the mould by hand. sealing the cardboard with PVC/PET blister instantly, and the cardboard will not deform. The products can sealed perfectly by blister. 1.Mould move in and move out of the packing area: by manually. 2.Discharge the product: by manually. Seal blister with card board, plastic sheet or aluminum foil. Such as toy, battery, tool packing by blister with card board for hanging in super market. This machine is semi-automatic. We had to put the plastic blister, goods for packing and cardboard on the mould by hand. 1.The mould will move into and move out the packing area by air cylinder. This machine seal PVC/PET blister with card board. 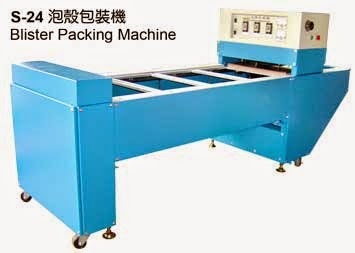 This machine have two kinds of packing way, one is direct heating type, another is instant heating type. Advantage: Sealing the cardboard with PVC/PET blister instantly, and the cardboard will not deform. The products can sealed perfectly by blister. 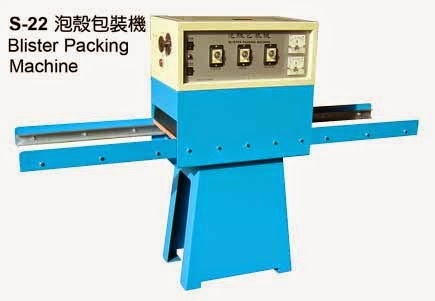 The output is decuple than high frequency sealing machine. Such as toy, battery, tool packing by blister with cardboard, which can hang in super market. This machine is for big output capacity. The conveyor will move the mould into the sealing area. It will auto sealing and auto knock out production after sealing by cylinder.